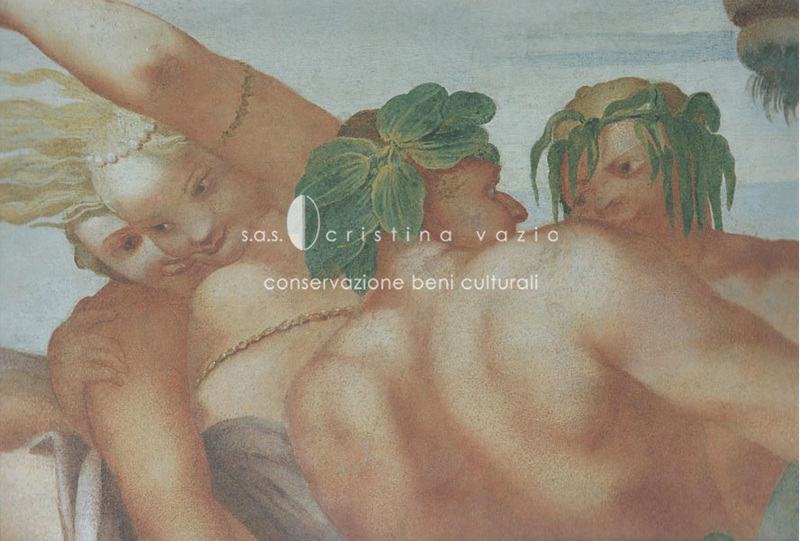 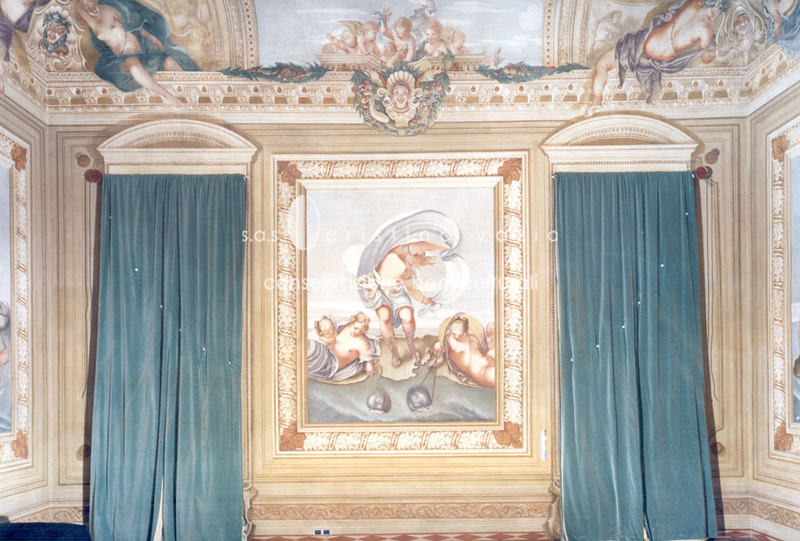 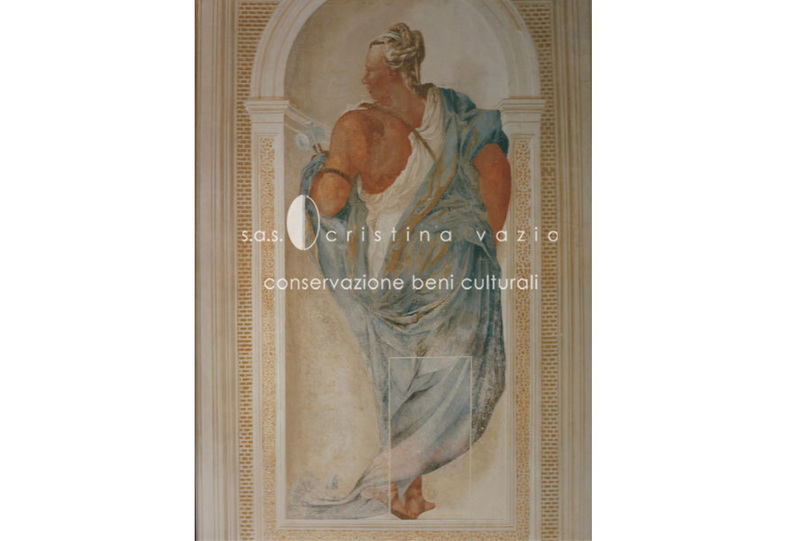 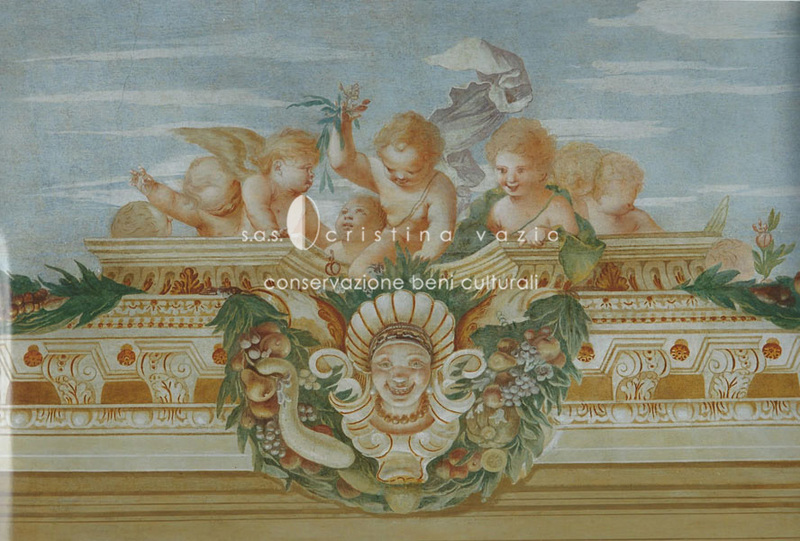 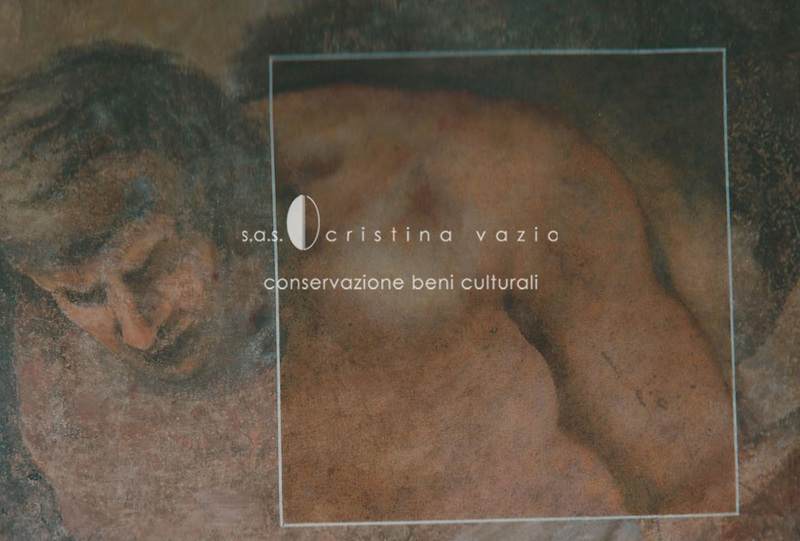 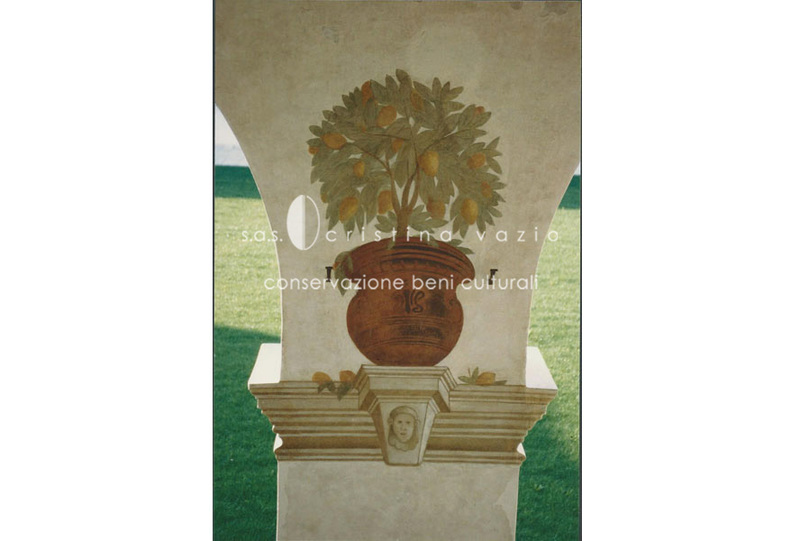 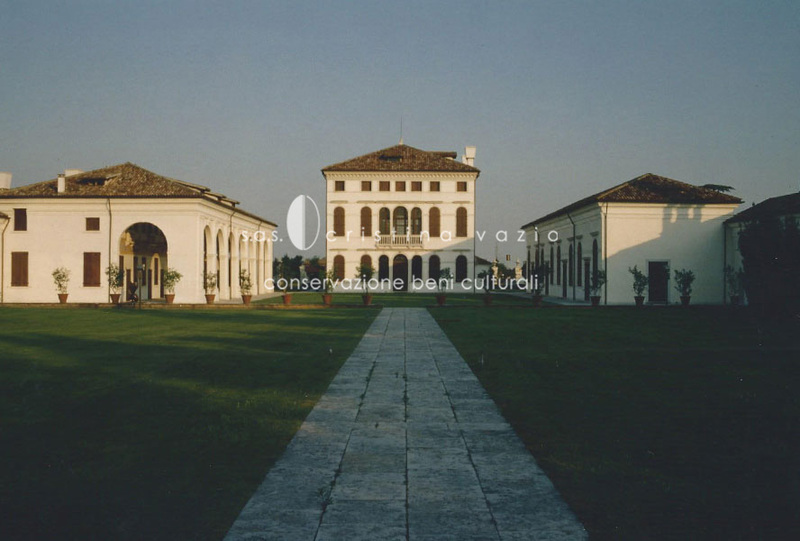 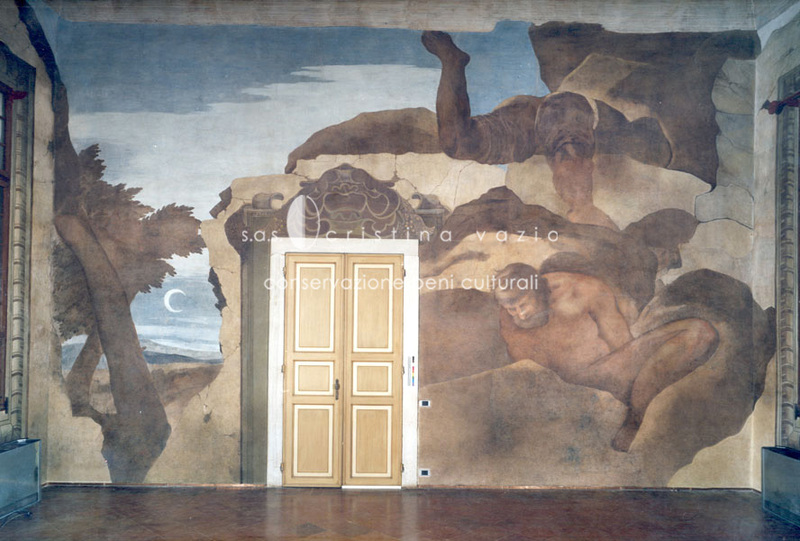 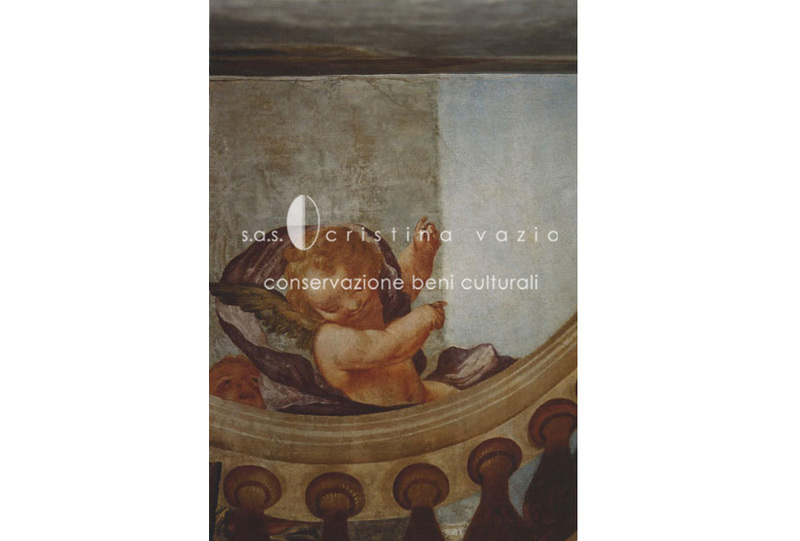 The restorative intervention of the fresco decorative series in Villa Minelli, the headquarters of the Benetton s.p.a in Ponzano Veneto (Treviso), lasted three years and was carried out in the midst of a large renovation project concerning the whole complex, under the direction of the architects Afra and Tobia Scarpa who enlisted Professors Laura and Paolo Mora as consultants for the conservation work. 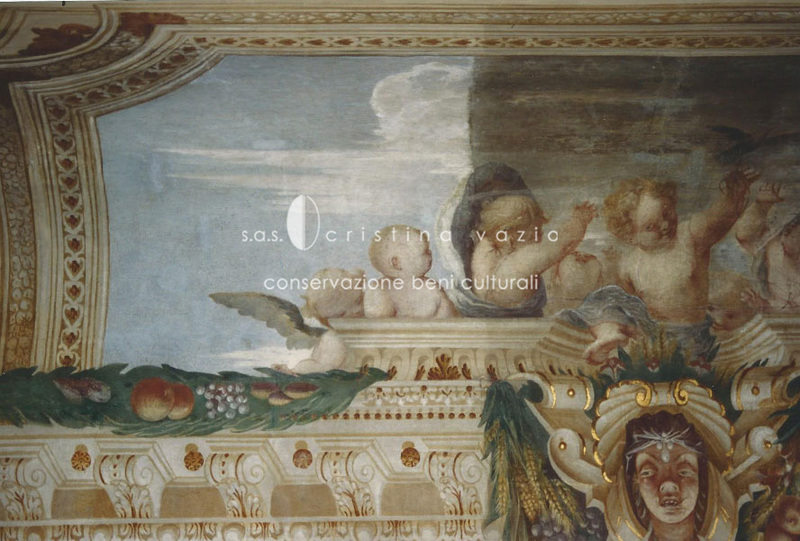 The frescoes of the central building were painted between 1660 and 1665 by Pietro Liberi. 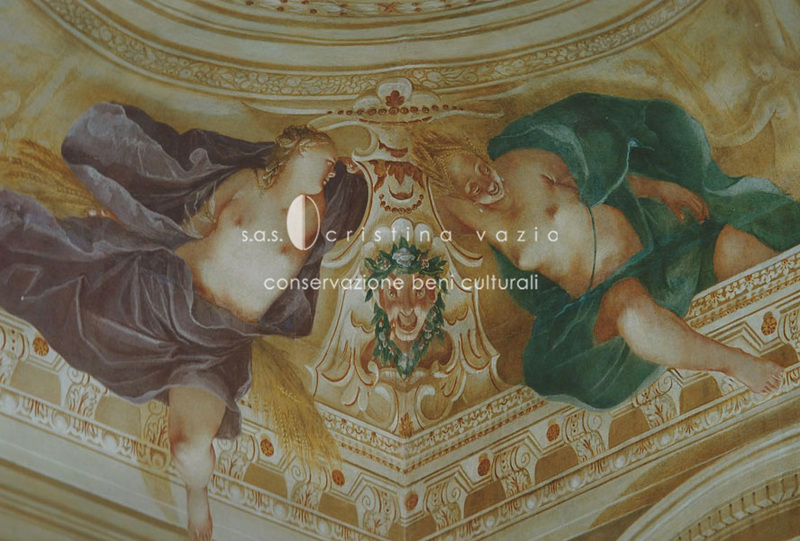 The pair of Barchesse on the sides are attributed to Pietro della Vecchia and were crafted from 1695 till 1700. 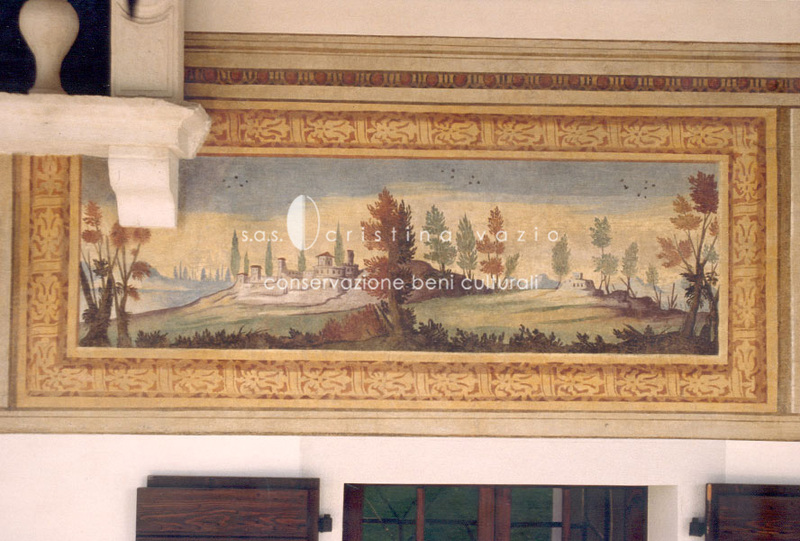 Our intervention was executed on the central building and the Barchesse, as well as on the external decorations-a-fresco.